As the current market scenario is the best fit for making real estate investment in India for specially Non-Resident Indians (NRIs). The investment by Non-Resident Indians if made today in real estate sector, it is surely will bring higher appreciation in the years to come and that the investment made today will not bring any regret. With the mood of the real estate sector in the upswing, it is definitely a good choice for Non-Resident Indian’s to invest in Indian real estate. With the relaxation in norms, steps are being taken by the government to make the process of purchase of houses more transparent. If you hold an valid Indian passport, the individual do not required any authority permission to make a property transaction in India. 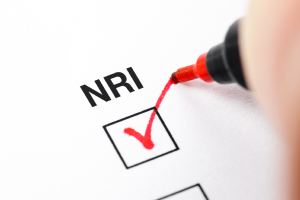 The Reserve Bank of India and Real Estate Authorities has made the rules very simple to attract more NRI investment in India. The overall economic scenario of the country is stable and improving with a huge impetus in the real estate sector. Besides relaxation in FDI norms, the government is also making rapid strides to make housing affordable for everyone. Slump in the last few years, the prices of real estate in the key markets have gone down in a big way which is an ideal scenario for Investment opportunities for NRI buyers in Indian real estate. Schemes is the exemption of taxes in various fashions. For example, NRIs are not required to pay taxes on the profit earned due to increment in property value for two consecutive years. As a good return on investment is rent, most of NRIs who own properties in India use it while infrequent visits to India. The remaining time these properties become a good mode of income via leasing, renting. Also their are many other benefits offer by the Government to NRIs like the Resident Indians in the mean of Income Tax Benefit, Loan Benefits, Interest on Loan if a NRI is making purchase of a property for self use in India. Panchshil Realty – Dry Construction Technique in India.